By Donna AG in Artwork. Updated on December 3, 2018 . 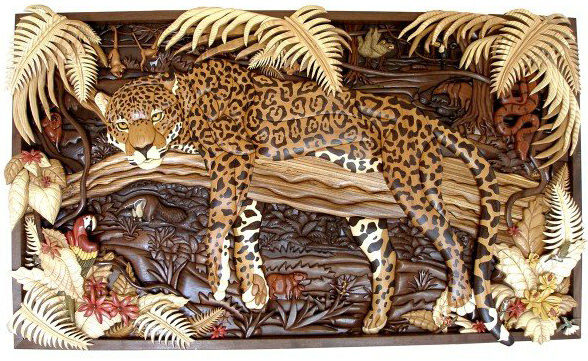 A famous French painter and sculptor, Edgar Degas, once said “Art is not what you see, but, what you make others see.” And these 20 talented and creative wood carvers will let us see the beauty embedded in the art of woodcarving through their creations. 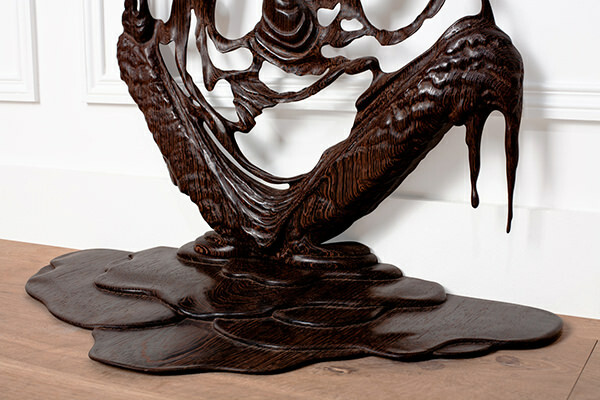 Many of these artists have also carved their mark into the international art scene. 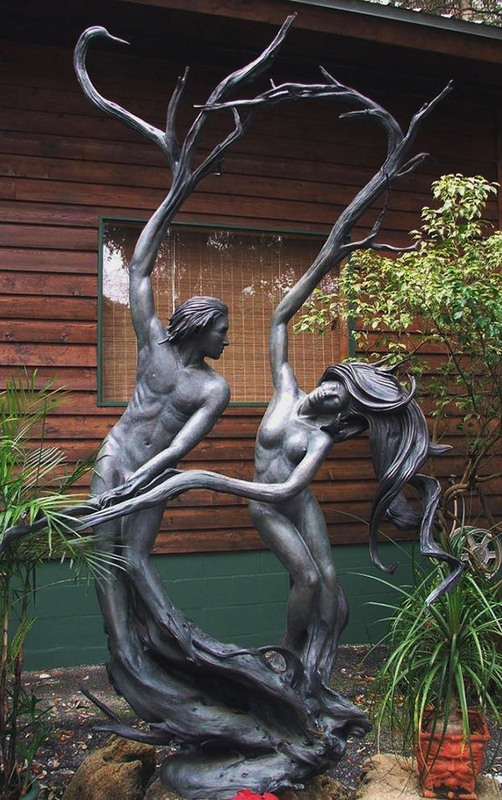 Most of these sculptors have years of experience perfecting their craft. 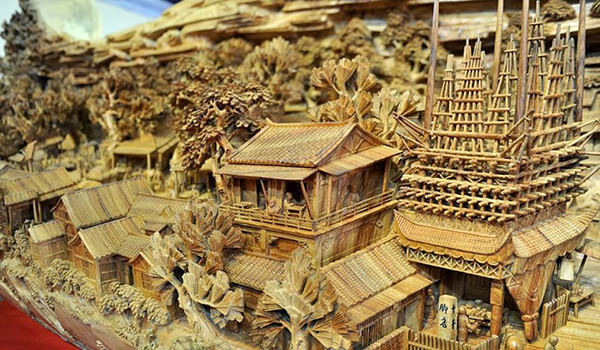 Seeing these skilled carvers transform a block of wood into an expressive artwork is really fascinating. 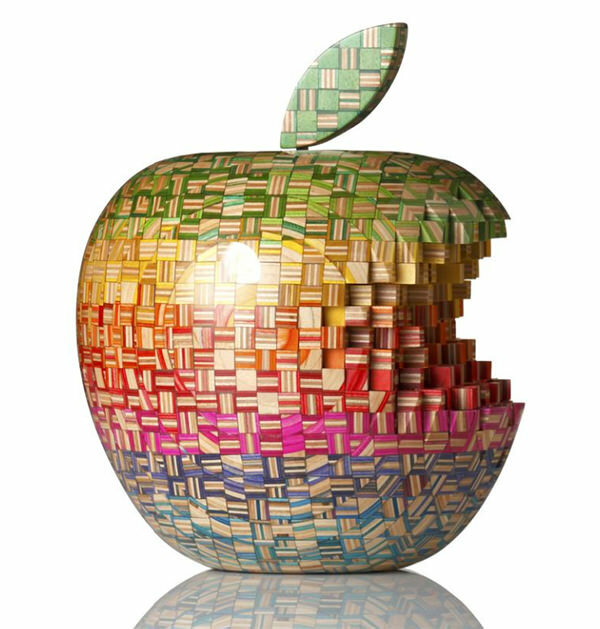 From hand-carved to laser-cut wood sculptures made from single or multiple blocks of wood, this collection will bring enjoyment and inspiration to all art designers, not only sculptors, novices and professionals alike. 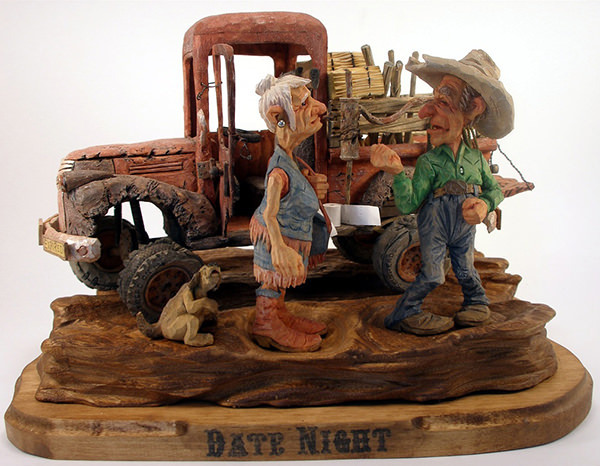 Phil Bishop is a full-time caricature carver from Elk City, Oklahoma. 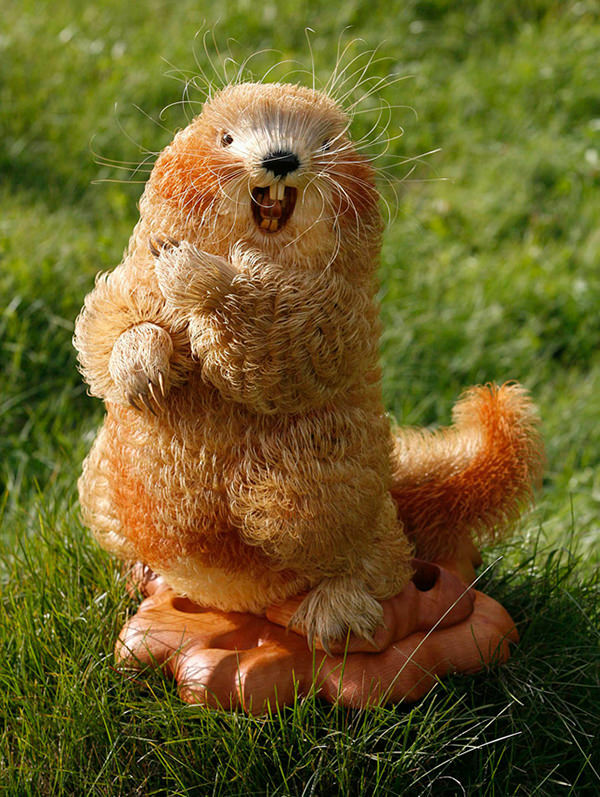 He can design some of the most amusing group carvings of any figure. Here are the some of the many lovely caricatures Phil has created. 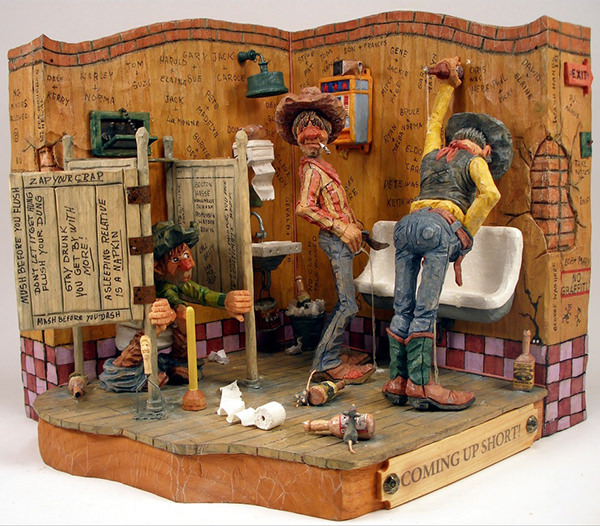 Find more of his depictions of life from his site here. 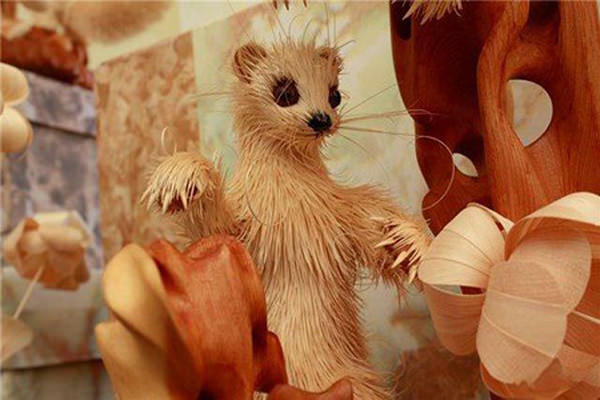 53-year-old Russian sculptor Sergei Bobkov uses discarded wood chips, particularly Siberian cedar, to produce gorgeous and delicate animal figures. 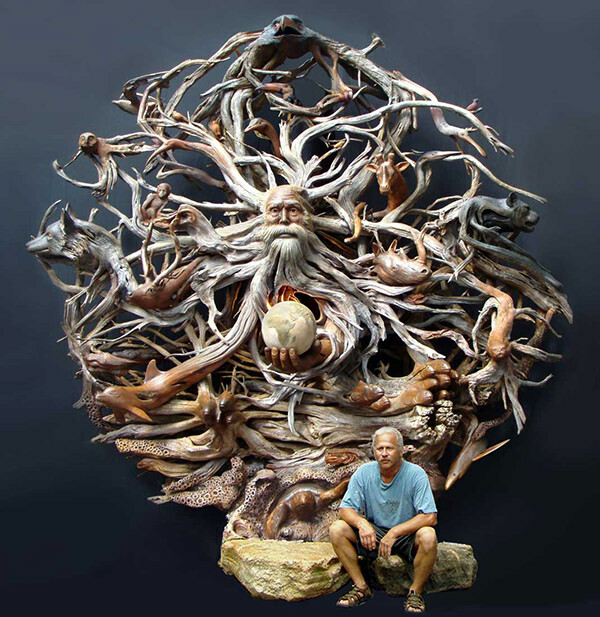 He works up to 12 hours a day to carve a new sculpture which can take 3 more weeks to refine and complete. 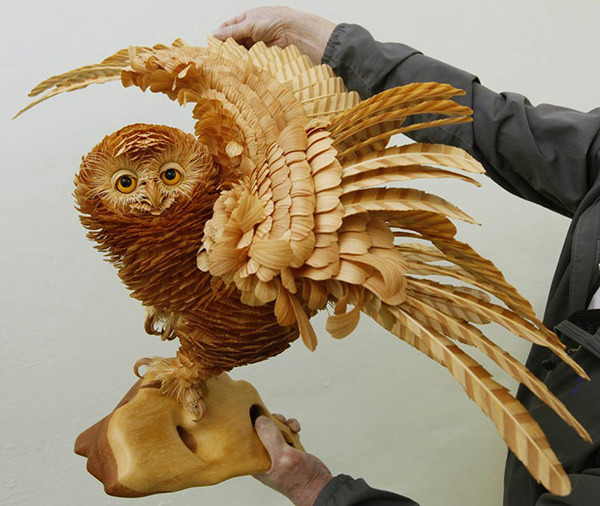 Look at the extreme labor of love he displays on the feathers and furs of his animal sculptures. More here. 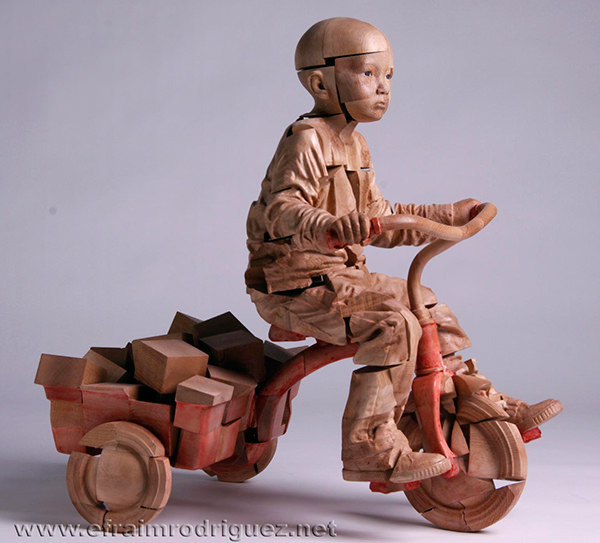 Haroshi is a self-taught Japanese sculptor and a fan of skateboards. 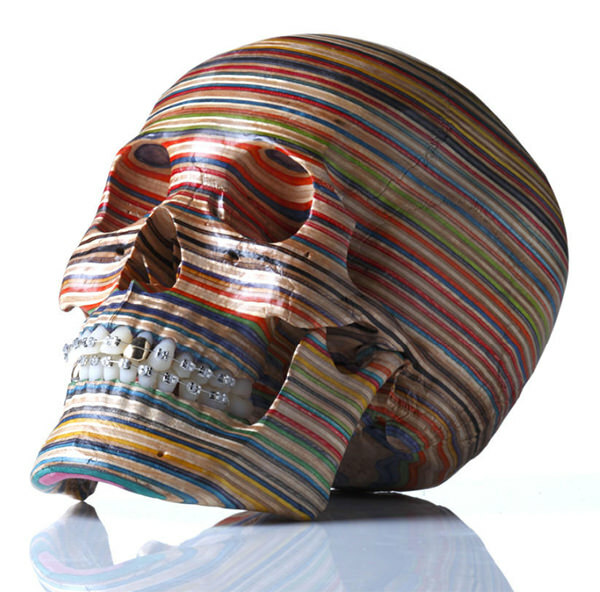 Haroshi makes his artworks by stacking old skateboard decks to create mosaic sculptures, which are on a whole new life as 2D works of arts in the form of figurative characters, fruits, skulls and whatever else Haroshi could think of. Check Haroshi’s site here. 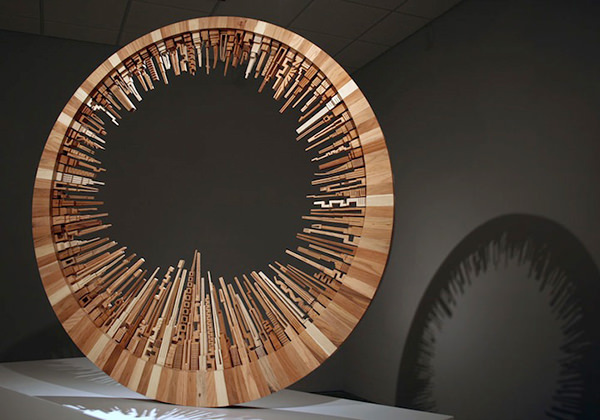 James McNabb creates miniature architectural wonders using an abstract style he calls “Sketching with a bandsaw”. 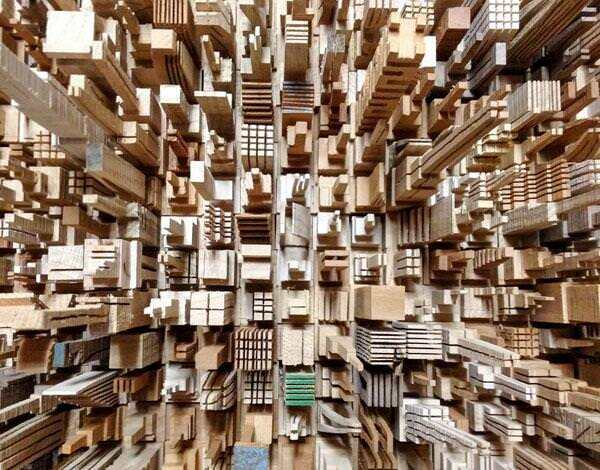 In his City series he creates intricate skyscraper designs from wood with different color tones. Each building is unique, just like an actual urban landscape. See more at James’s site here. 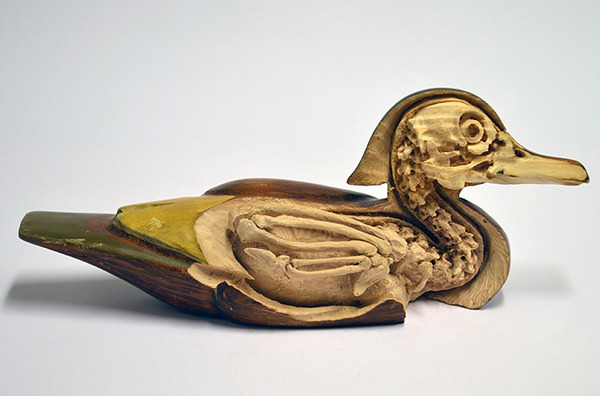 Canadian-born sculptor, Maskull Lasserre, has a somewhat creepy way of creating art. 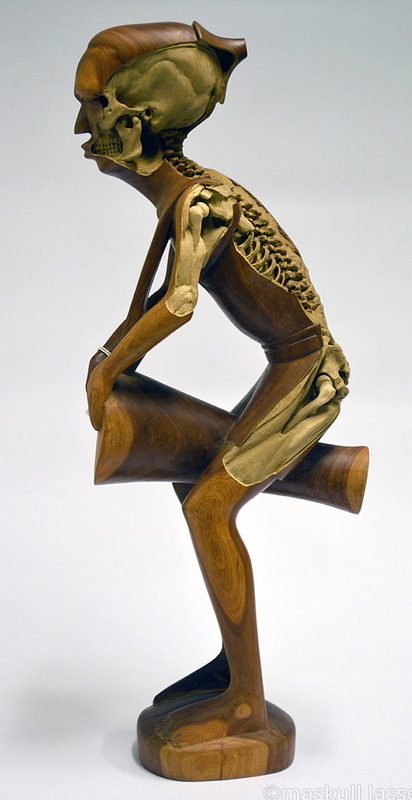 Maskull’s artwork is all about revealing the skeletal system of humans and animals through existing wooden sculptures. 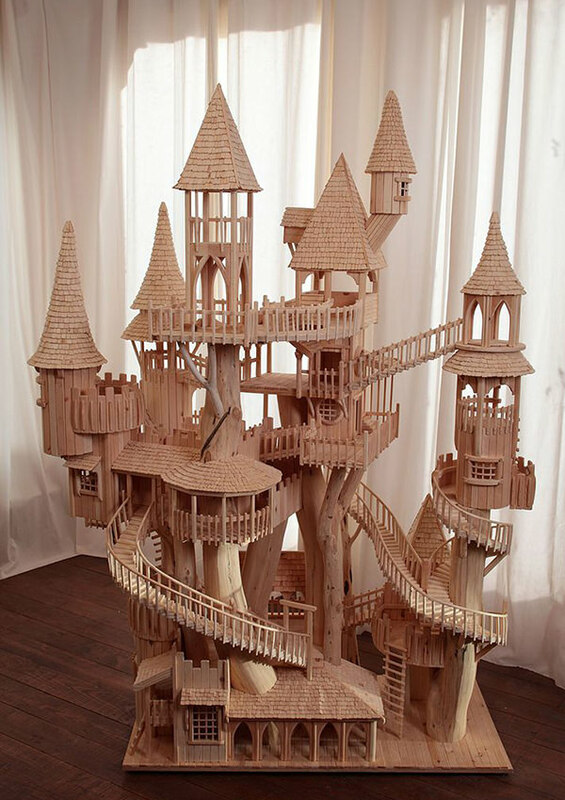 The amount of detail in his carvings is really impressive. What’s wonderful about this new work is he literally adds new art to the original art piece. 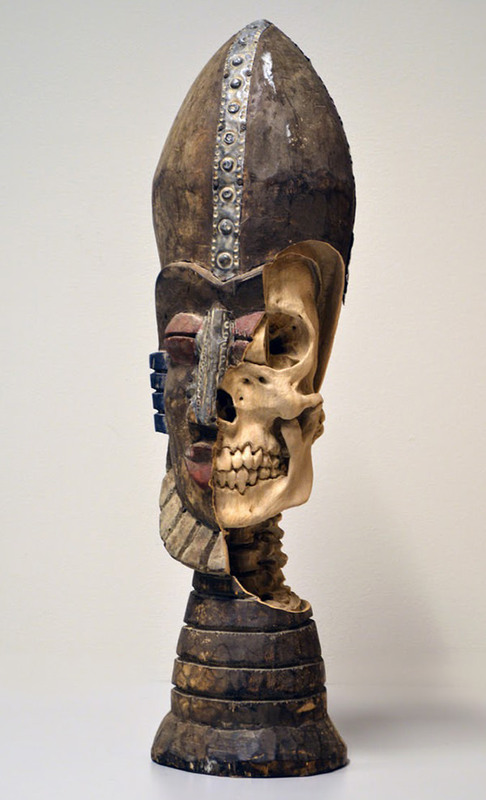 Check Maskull’s site here. 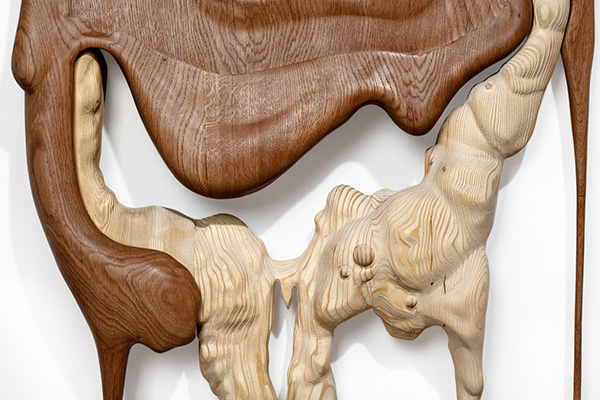 I’m pretty sure you cannot melt wood, yet French artists Remy Clemente and Morgan Maccari from Bonsoir Paris Studio challenges this with their amazing work. 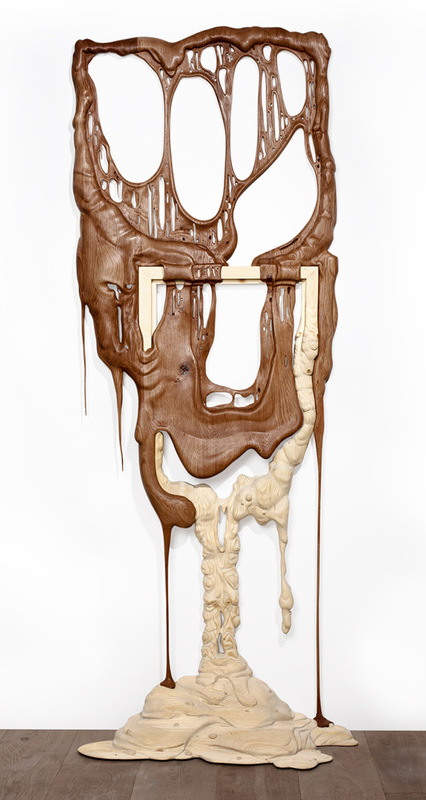 Their DURAMEN series puts the focus on the wooden frames showing them in melted form. Utterly incredible! Check Bonsoir Paris’ site here. 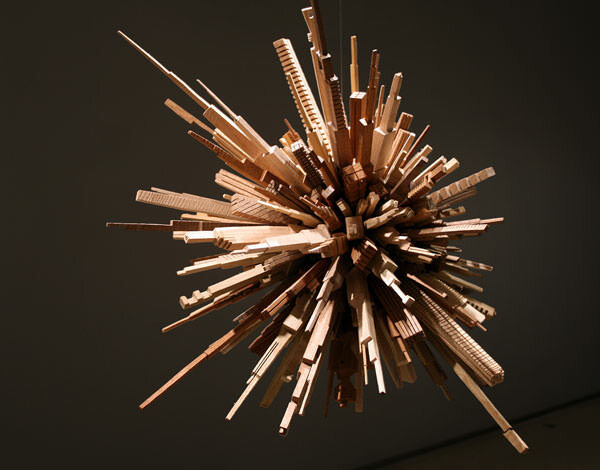 Michael Rea’s sculpture pieces are generally represented with materials like steel and glass. 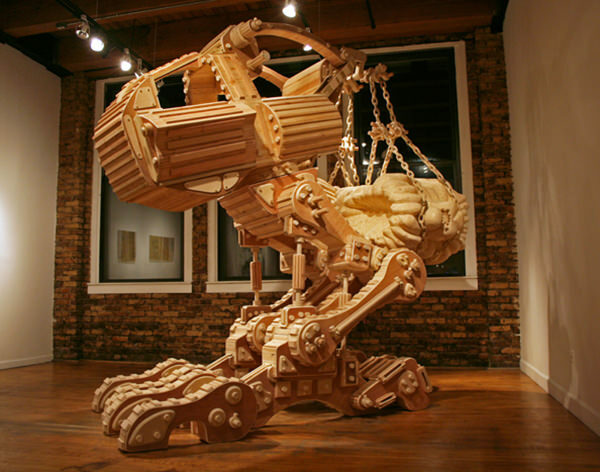 Most of his huge pieces seem to be inspired by American science fiction films. 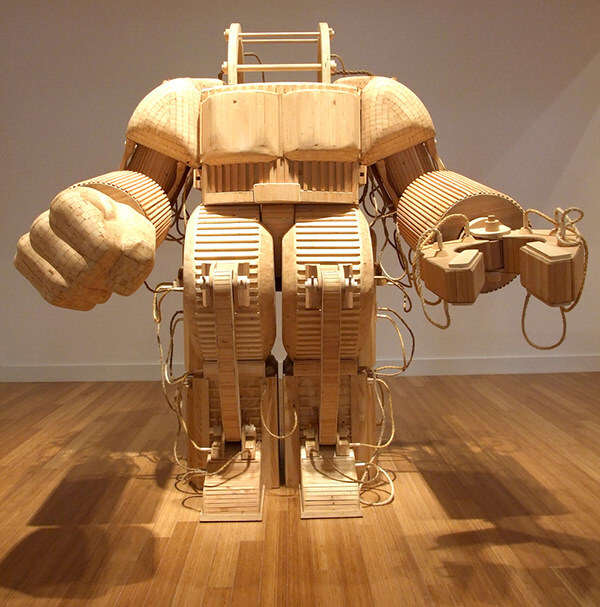 He carves robot suits, space shuttles, artillery guns and time machines from lumber. Check Michael’s site here. 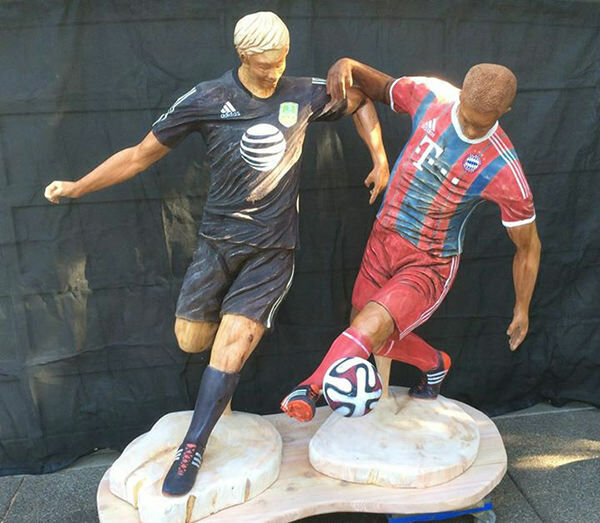 These ultra realistic masterpieces are at the brink of coming to life. 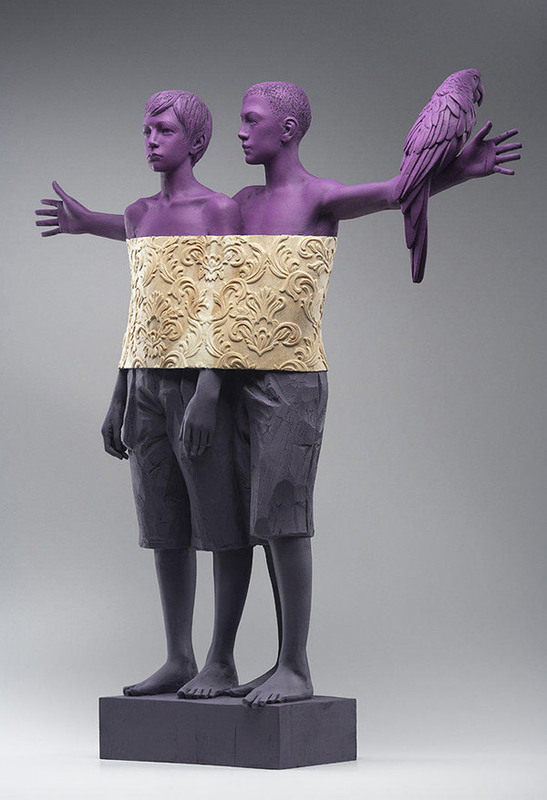 They are made by an Italian artist, Willy Verginer, who carves each sculpture from a single block of wood. After that, he paints vivid colors and patterns that add surrealism to it. 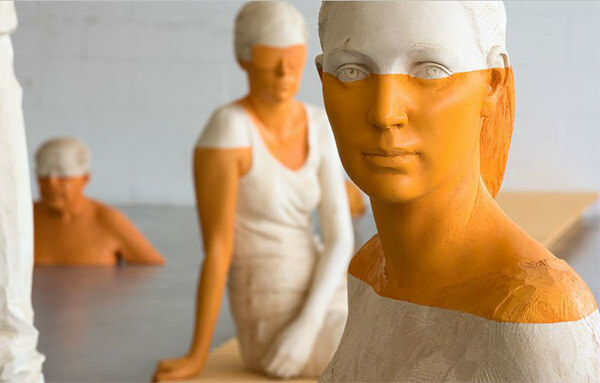 His favorite figurative subjects range from children to adults and some animals. 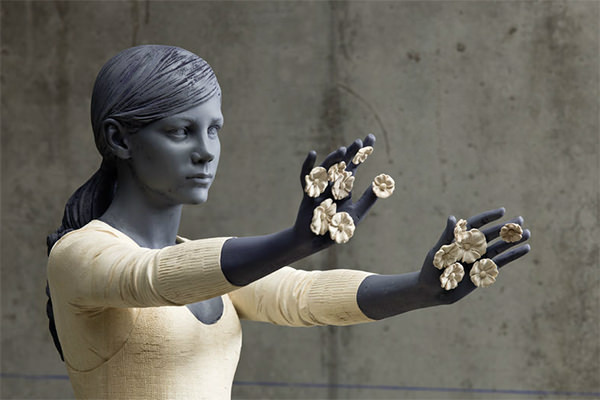 Check Willy Verginer’s site here. 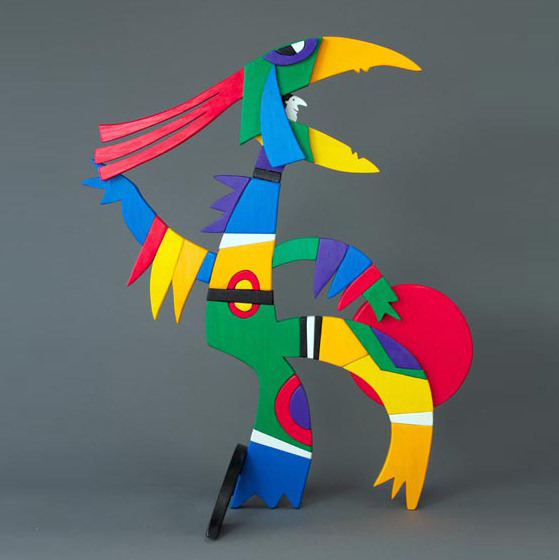 If you create a sculpture version of Picasso’s paintings, this is what it would look like. 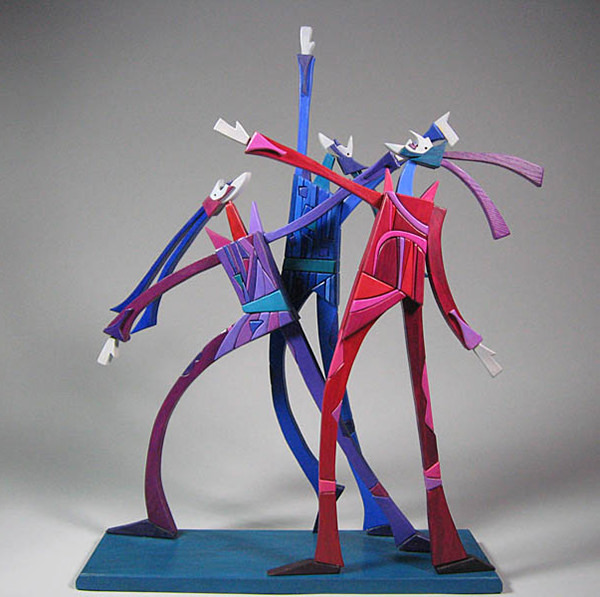 Werner Arnold’s sculptures can also move, which adds another layer to the already beautiful sculptures. 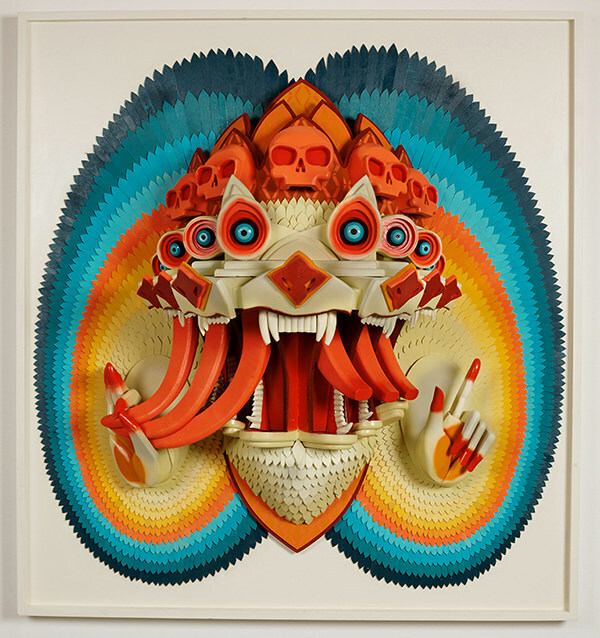 His work is a great showpiece as it not only looks fantastic with its colorful painting and puzzle-like designs but is also a fun change to its appearance. 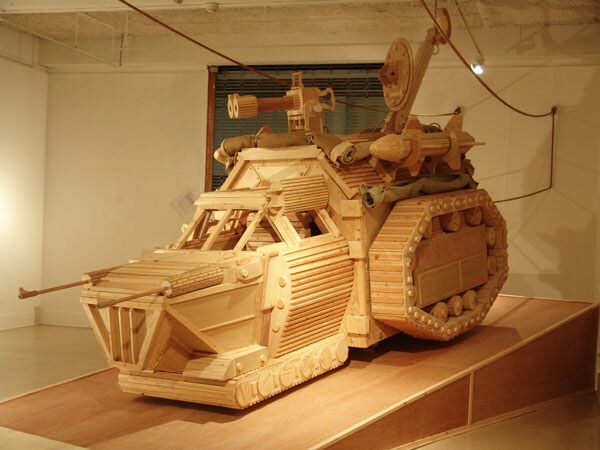 Check Werner Arnold’s work here. 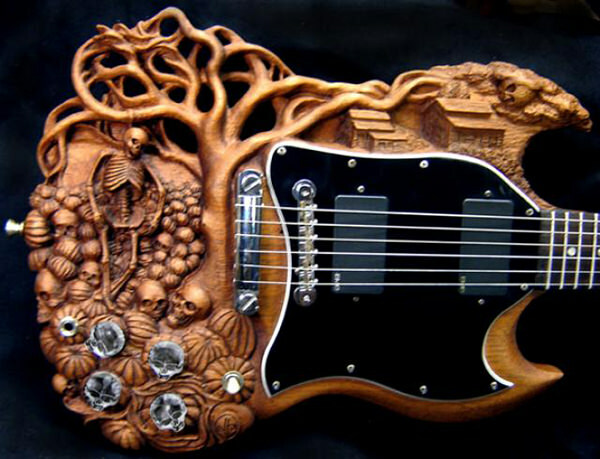 When Doug Rowell isn’t playing a guitar, he’s carving one. 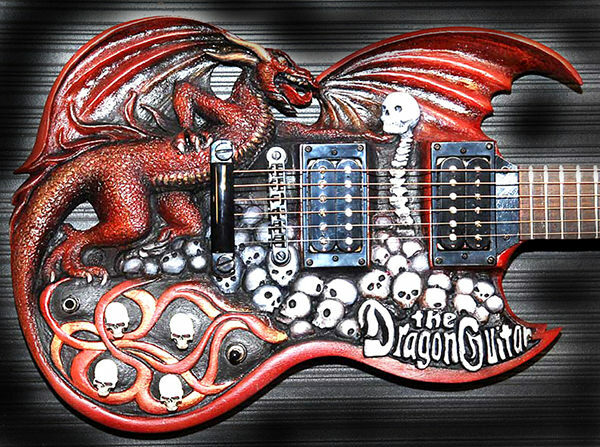 Doug turns electric guitars into different commemorative art pieces. 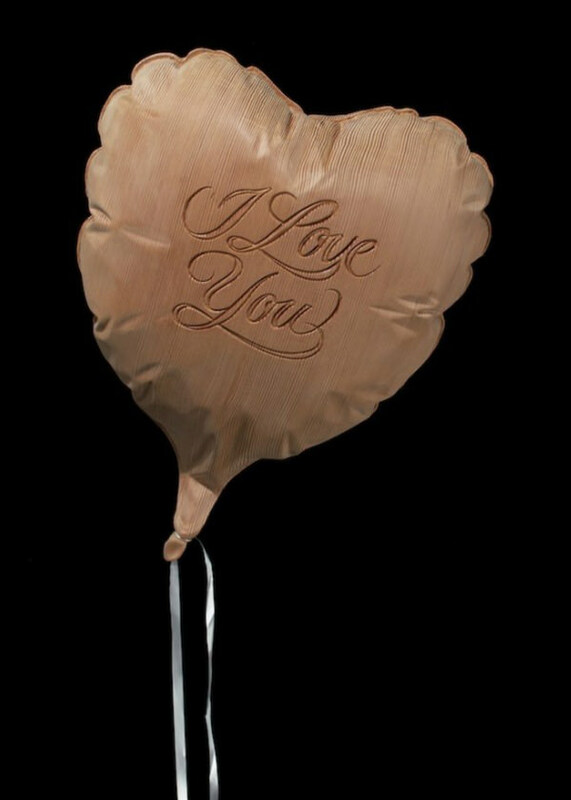 The engraving is a truly remarkable work of art so much so that most of his customers choose to hang them on their walls rather than play them. 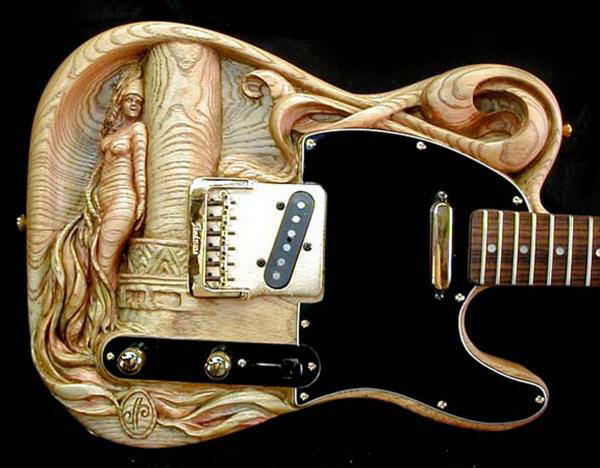 Below are just samples from his huge portfolio of more than 100 carved electric guitars since 1969. Check Doug Rowell’s site here. Jeff Uitto live near the coast of Washington State. 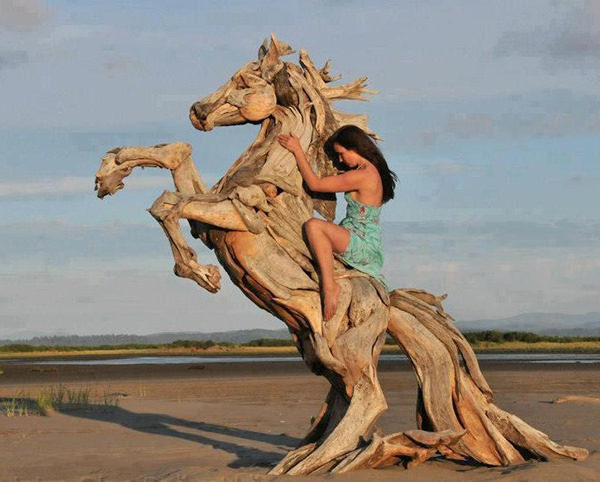 He has sculpted horses, eagles and giraffes out of driftwood that are washed ashore from a forest up northwest. 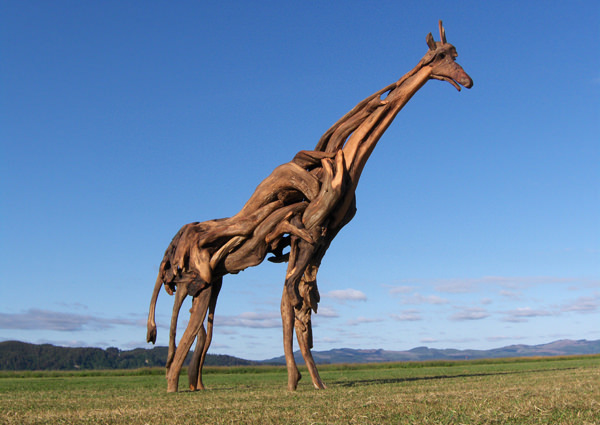 Jeff also makes all sorts of furniture and was commissioned to make driftwood installations in Alaska and Hawaii. Check Jeff Uitto’s site here. 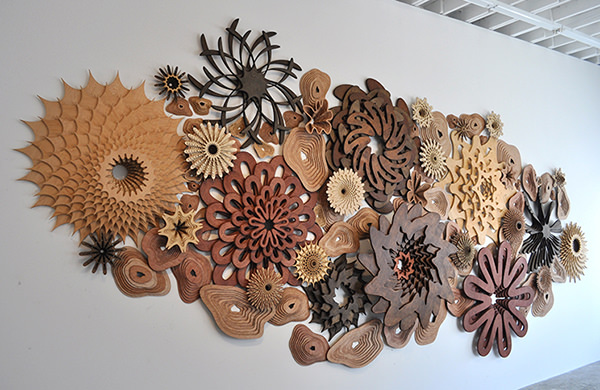 Joshua Abarbanel’s 3D sculptures are comprised of a variety of cut wood that are carefully arranged and layered to create a composition similar to a coral reef. With the help of modern tools and machinery, he creates these beautiful sculptures to remind us of the need to take care of the natural beauty of our oceans. Check Joshua Abarbanel’s site here. 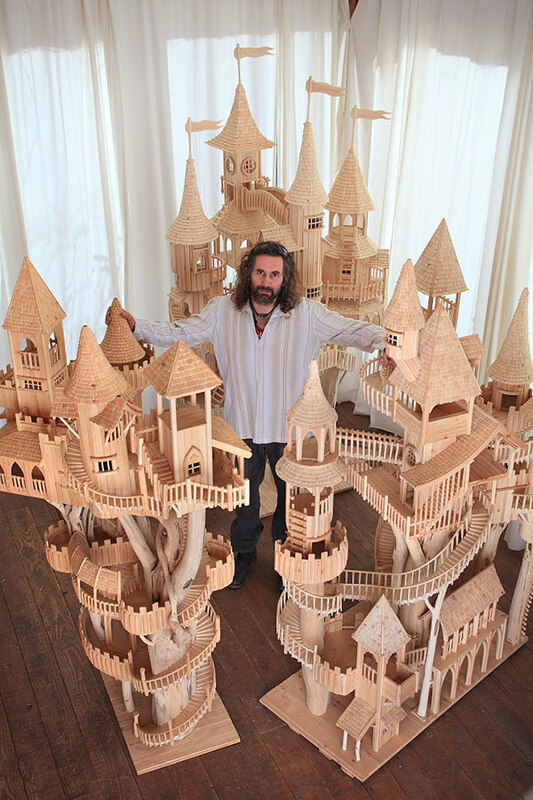 Getting ideas from the beautiful surroundings of Exmoor, talented craftman Rob Heard has produced a captivating set of ‘Bough Houses’ made of Leylandii tree, which has no more use once it has been felled. 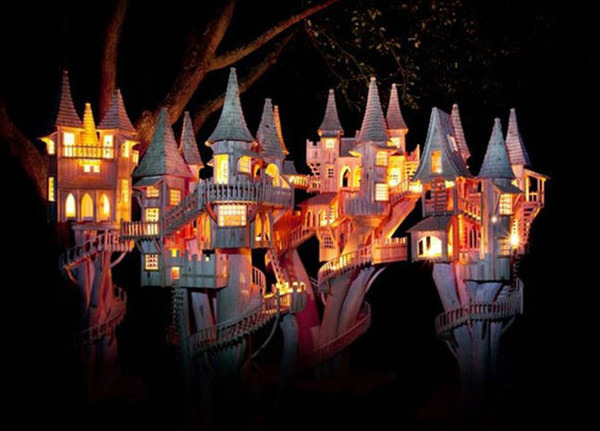 His houses are around 6 feet tall, each with detailed walkways, turrets, staircases and a huge variety of delicately designed components. Check Rob Heard’s site here. 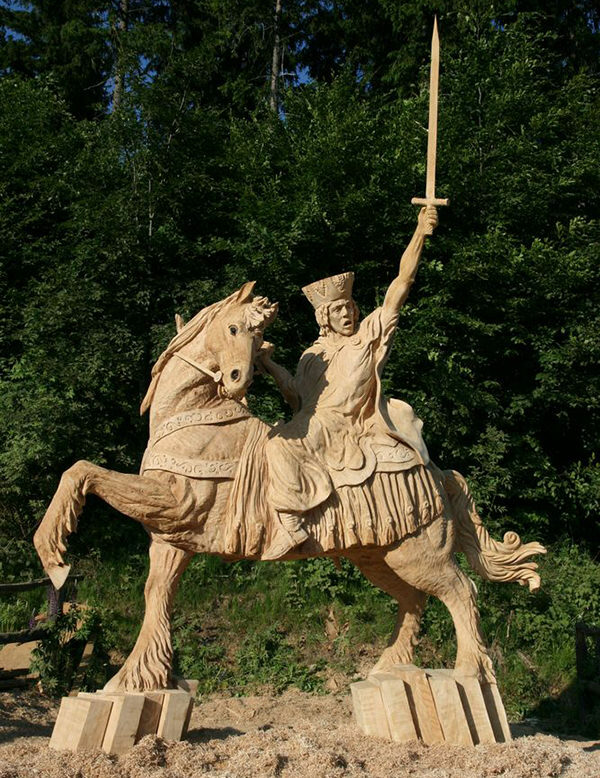 Chainsaw carving is a very dangerous craft, and yet, Bob King could make fascinating carvings through that method. 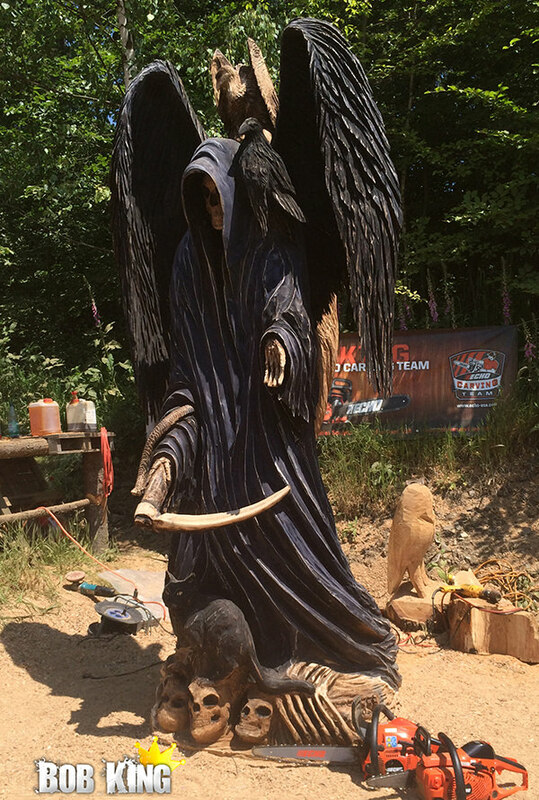 He competes in many chainsaw sculpting competitions locally in Washington state, and overseas. 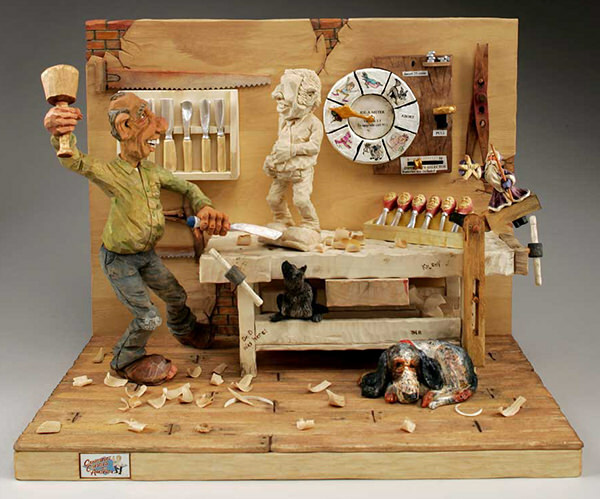 See what else this professional carver can do at his site here. 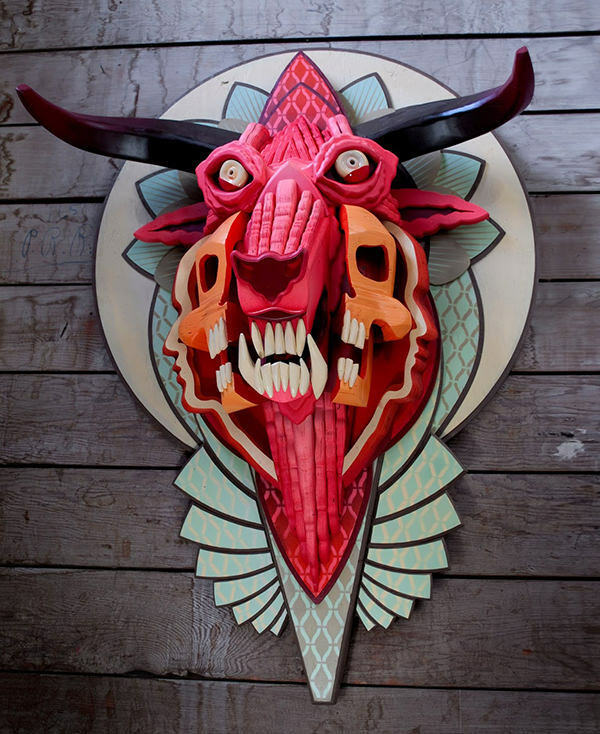 AJ Fosik makes intricate, brightly colored three-dimensional pieces that are inspired by folk art and cultural rituals. 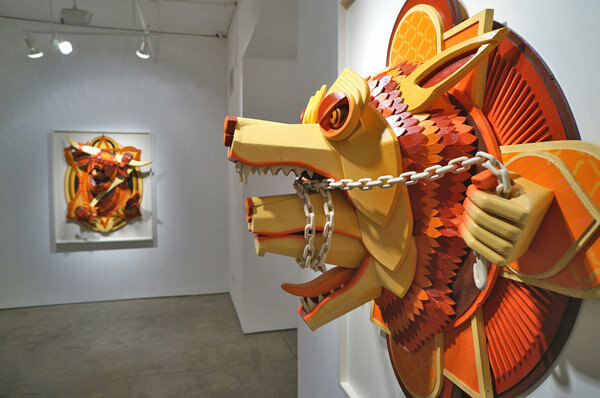 Fosik’s taxidermy-like wall pieces are anthropomorphized animals made from a pile of cut wood which he manually paints one by one. Check AJ Fosik’s work here. 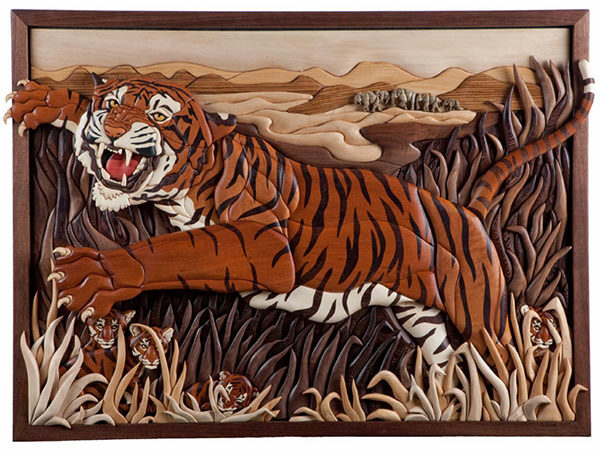 Intarsia is basically a 3D wooden mosaic sculpture on which you cut, carve and shape individual pieces of a wooden parts, then put them together with glue. 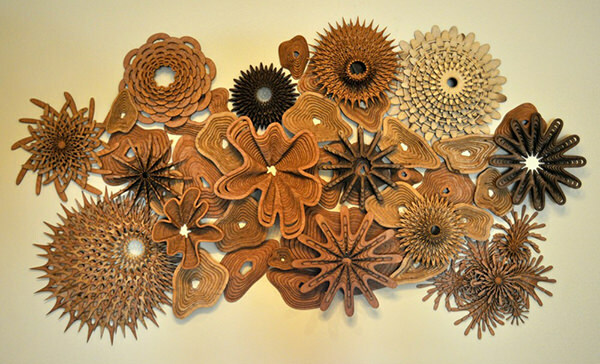 Using different types of wood and selecting the right color, thickness and grain composition you can, like Kathy Wise, create beautiful patterns, although unlike her, you might not win awards like she can. 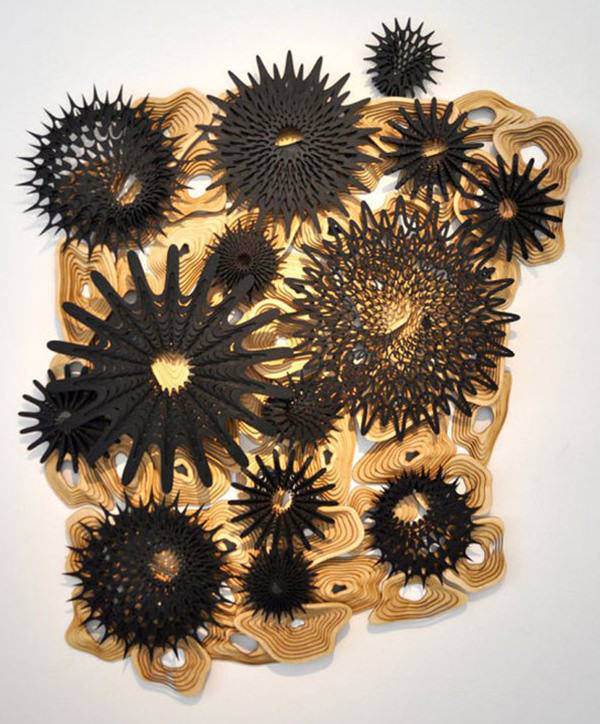 Check Kathy Wise’s work here. 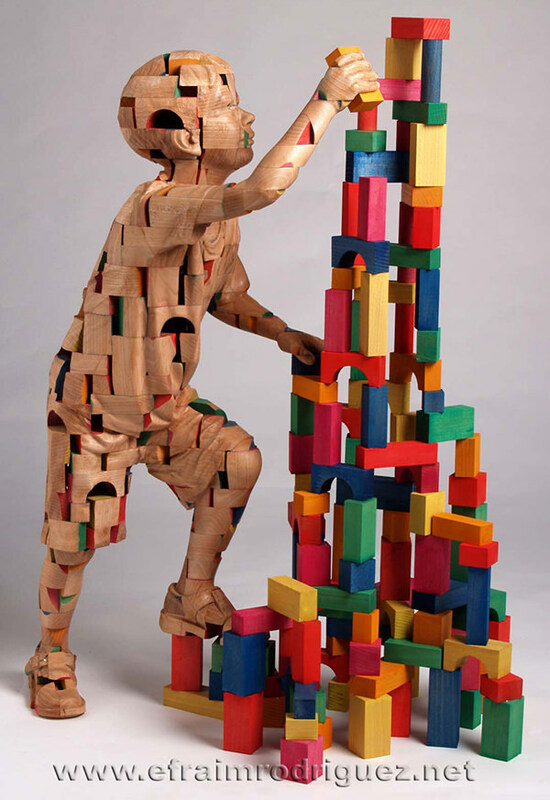 Built from cubes, these life-sized sculptures by Barcelona-based sculptor Efraim Rodriguez Cobos are one of the most intriguing pieces of art I’ve seen. His artworks evoke sadness depicting unconnected remnants of a fading memory with unique artistic representation. 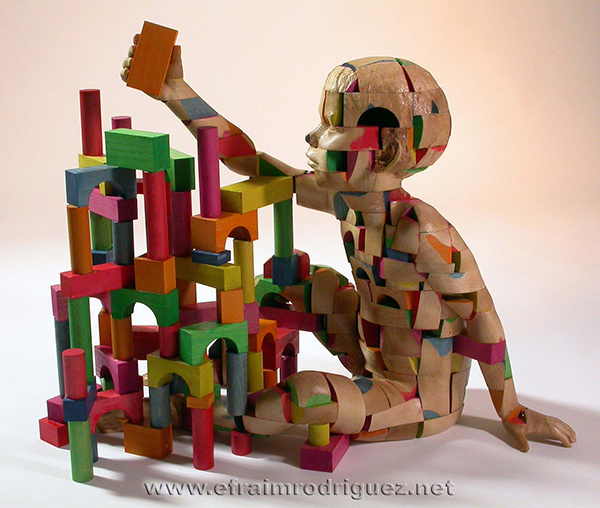 Check Efraim Rodriguez’s site here. 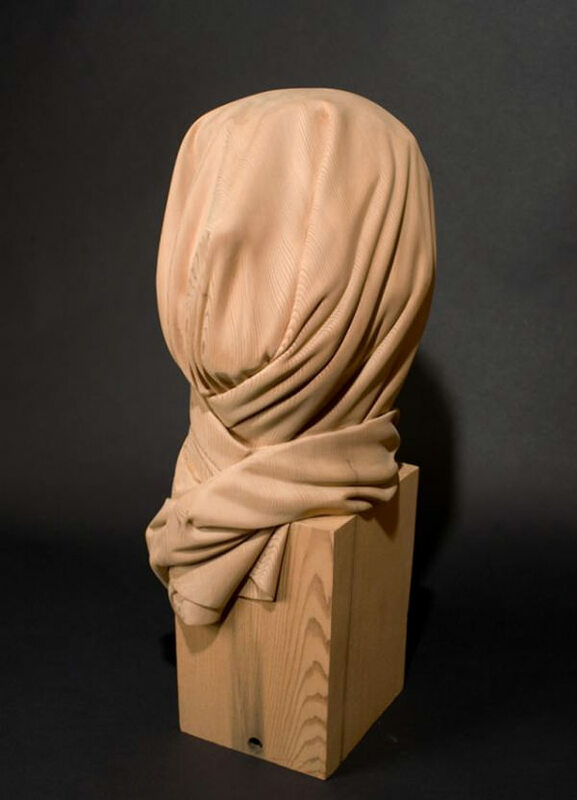 Seattle-based artist Dan Webb is proud to show his series of unbelievable wooden carvings that creates the illusion of fabric. 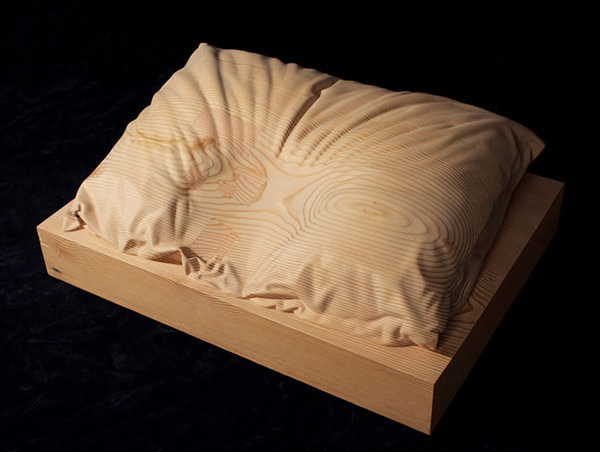 He can carve a pillow, blanket or a balloon out of a block of wood. Dan prefers to use reclaimed wood, some of it aging over 200 years old. 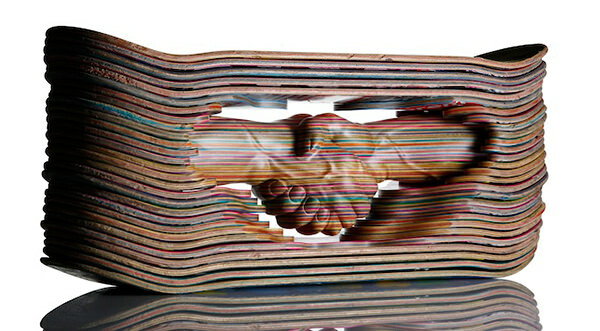 Check more of Dan Webb’s work here. 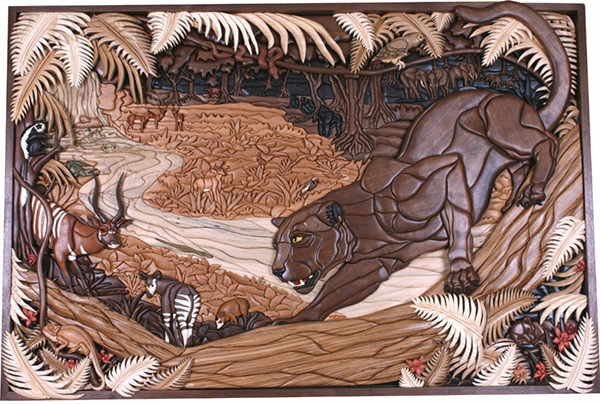 Paul Baliker is known to construct large sculptures that often depict wildlife. 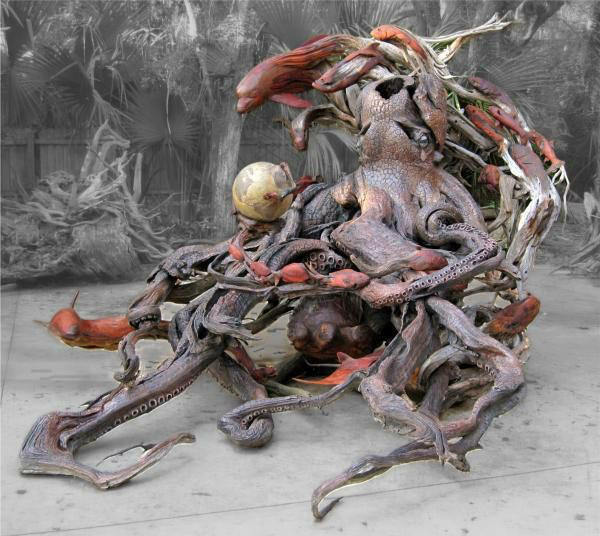 His most amazing piece, called “A Matter of Time”, is a 13 feet tall wooden sculpture of our wildlife and the state of our natural world. 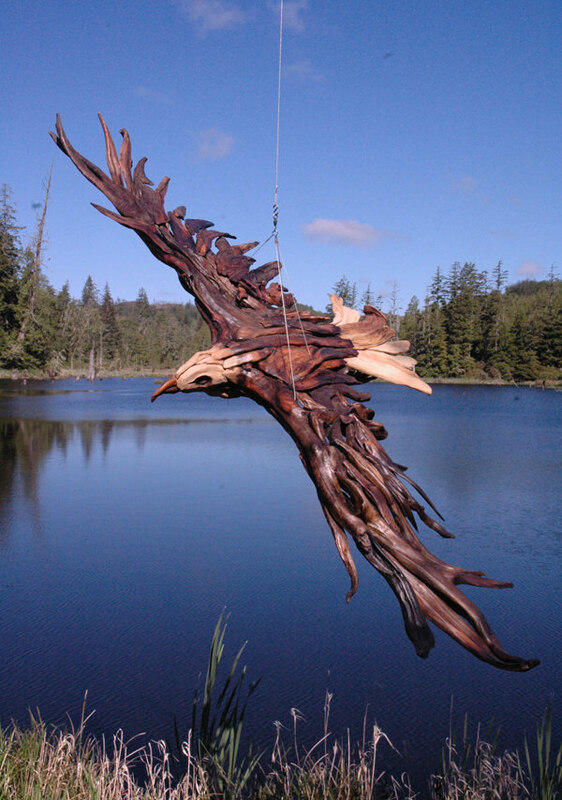 Crafted from cedar driftwood, the thought-provoking masterpiece won the hearts of a lot of people. Check out more of Paul Baliker’s work here. 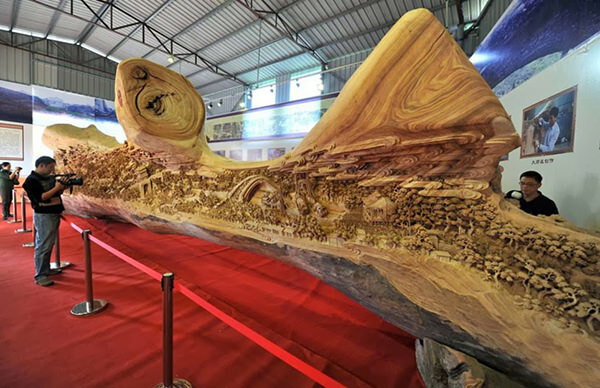 This gigantic 12-meter long sculpture, based on the popular scroll painting of "Along the River During the Qingming Festival", which depicts the everyday life of the Chinese people in the 11th century is an amazing work of art by Zheng Chunhui. 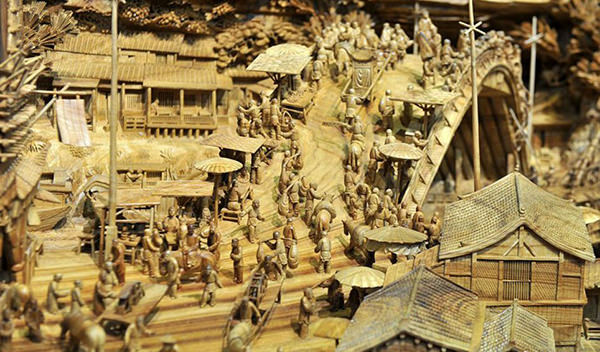 A record-holder, this is the world’s longest wooden carving, which features old buildings, bridges, boats and over 500 miniature people. It also took 4 years to finish. Get a closer look here.